Rustic wilderness and fishing lodge. 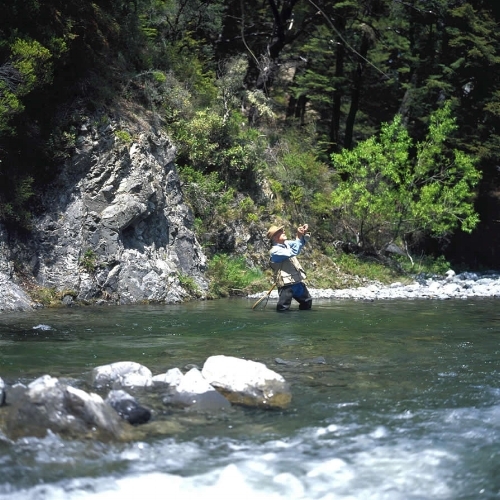 High in wilderness country to the south-east of Lake Taupo, Poronui is one of New Zealand’s most well-known fishing lodges, and is rated one of the top 10 fishing lodges in the world by Forbes magazine. A favourite of passionate fishermen for its excellent brown and rainbow trout opportunities, it also attracts a lot of sporting hunters, and is a recognised wilderness retreat as well. There are three accommodation options – the main Poronui Lodge is a world-class wilderness sporting lodge with just 7 adjoining cabins overlooking the Taharua Valley. Described as a ‘purpose-built facility designed to meet the needs of the discerning angler’, it includes a shared dining table and lounge room with open fires and well-stocked bookcases. The rustic-luxe Safari Camp, on the banks of the Mohaka River, has beautifully appointed canvas-roofed and walled cabins where you can really get a feel for the wilderness surrounding you without compromising on comfort. And Blake House is a stately owner’s residence available for exclusive use; it can accommodate up to 16 people in four double suites and two luxury bunkrooms. 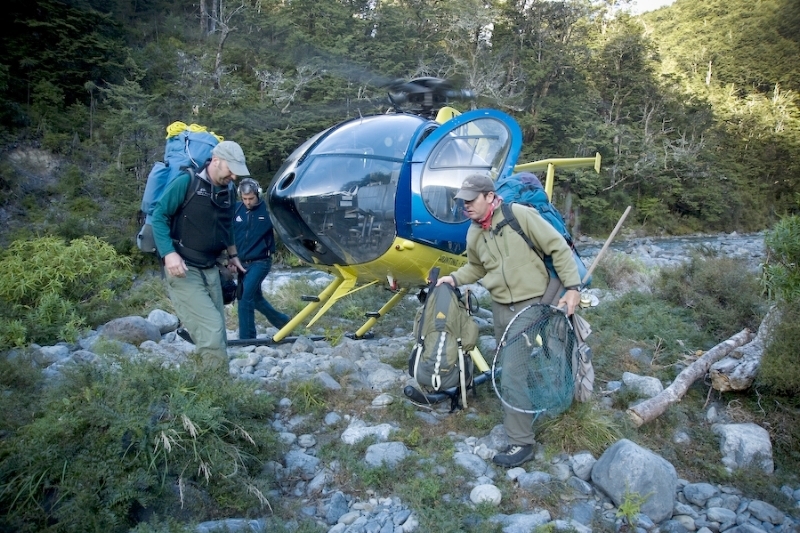 The property covers 16,000 acres of wilderness including dense native beech forests, grasslands and manuka. There are 240km (150 mi) of hiking and riding tracks along the way. The Mohaka and Taharua Rivers tumble through the landscape, and the surrounding countryside has very high environmental and ecological value. Poronui has a great working relationship with local Maori – Ngati Tuwharetoa offer an excellent opportunity to engage in the local indigenous culture with their Kai Waho experiences. There’s also horse riding, mountain biking, clay shooting and hunting available.